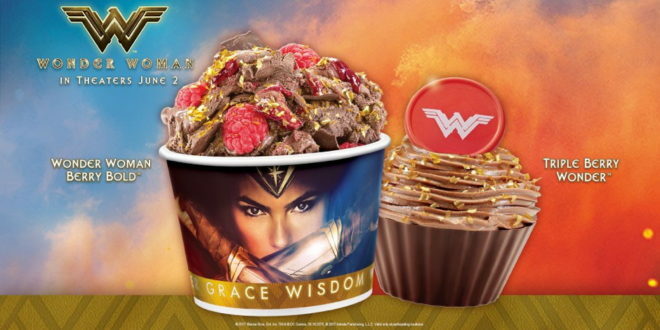 To mark the release of Wonder Woman, Cold Stone Creamery is releasing a new ice cream inspired by the superhero. Dubbed Dark Chocolate Triple Berry, the ice cream has been used to create Wonder Woman Berry Bold, a frozen treat that boasts the ice cream, chocolate shavings, gold glitter and raspberries. In addition, the company is also launching a cupcake called Triple Berry Wonder, which features layers of Red Velvet cake and Dark Chocolate Triple Berry Ice Cream. This is all topped with chocolate frosting, gold glitter and a Wonder Woman chocolate medallion. "We are excited to continue our partnership with Warner Bros. for this empowering and adventurous new movie," said Kate Unger, SV president of marketing for Cold Stone Creamery. 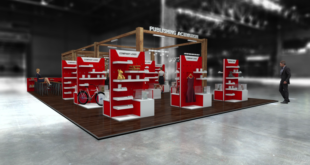 "Customers are going to love our super-premium ice cream and enjoy our new Wonder Woman-inspired creation. The bold flavour of our Dark Chocolate Triple Berry Ice Cream gives it a powerful chocolaty taste that goes perfectly with raspberries and chocolate shavings. Then we add gold glitter to give it some glam."